Get kids out of the classroom to hop and tell time on the blacktop! 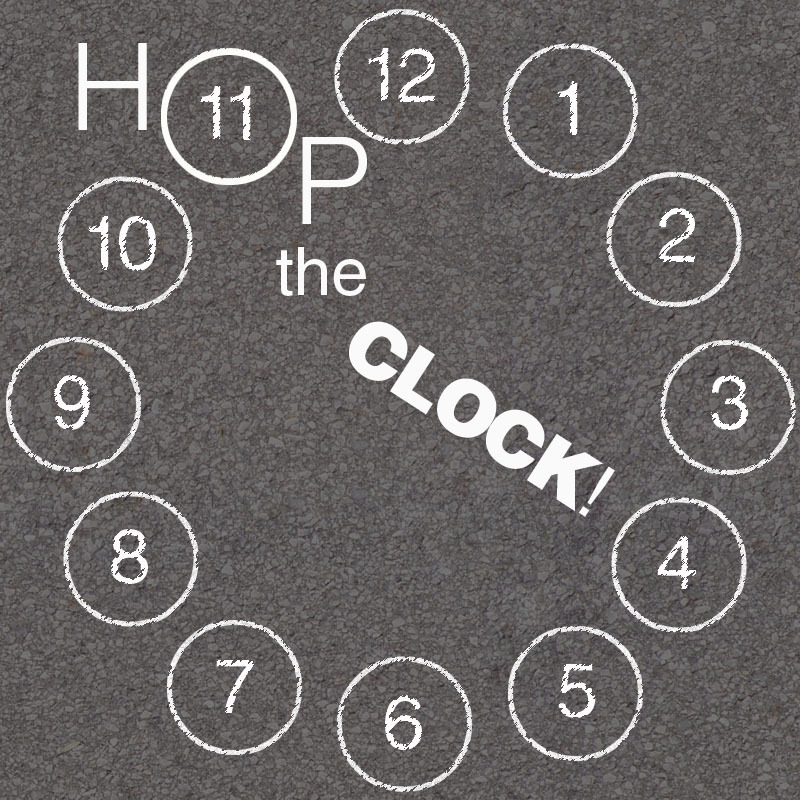 Draw small circles within an extra large imaginary circle in the format of an analog clock. Then, call out two kids' names, give one a number to represent hours and the other minutes. Have them hop on the number. Once, they get the thumbs up, have them create the time, each taking on the role of clock hands, by laying down on the imaginary clock. After each person in the class has had a turn, switch off and give the hours kids minutes and vice versa.